The bedroom is a place where we recuperate after a hard day, relax and recharge with energy for new achievements. Therefore, the repair of this room should be approached as carefully as possible. For this, it is important to consider both personal preferences and new trends in the field of design. In the modern world, fashion is changing so fast that it is difficult to track the main trends. What does it all mean – decoration, furniture, decor, etc. Therefore, if you are in the process of choosing a wallpaper for the bedroom, forget about the usual colors and patterns. Modern manufacturers will make you take a fresh look at the seemingly familiar wall finish. 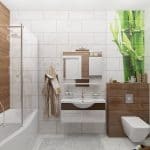 In fact, the choice of material for wallpaper in the bedroom – not such an urgent problem, as if you chose the wallpaper, for example, in the kitchen. A large number of wallpaper does not tolerate a sharp temperature drop or the conditions of high humidity. However, you should not be afraid of this in the bedroom – therefore the choice of materials is quite large. In any case, before you glue the wallpaper, you need to understand the features of each individual type. The ability to circulate air. Non-woven wallpaper in the process of gluing and operation do not swell and do not pull down. Thus the process of their application is greatly simplified. You can carry out the installation immediately after applying the adhesive on the wall. You can use non-woven wallpaper in the bedroom even on an uneven surface. Moreover, this material can smooth out some defects on the wall. Disadvantages of non-woven wallpaper is not so much. This finishing material is characterized by difficulty in care, since their surface can not be cleaned with a damp cloth. In addition, interlining is not resistant to sunlight. Therefore, if your bedroom has large windows and a sunny side, get ready that wallpaper can quickly lose its original appearance. Today, however, these shortcomings can be easily avoided. Modern manufacturers offer non-woven wallpaper with a polymer coating, which is resistant to all types of damage and ease of care (wallpaper can be cleaned in a wet way). Vinyl wallpapers are made of artificially created material – polyvinyl chloride. The basis of their paper or textile. And due to the presence of plastic in the outer layer of wallpaper manufacturers can get a variety of textures of the material. So, on the shelves of shops you can find vinyl wallpaper for the bedroom with a matte, glossy, embossed or completely smooth finish. Despite the wide range, it is important to highlight the main drawback of vinyl wallpaper. As mentioned above, the material includes plastic and other synthetic substances. Because of this, the walls lose the ability to pass air and evaporation of the liquid. In addition, for the first few months after pasting vinyl wallpaper in the bedroom, you can feel a rather sharp and unpleasant plastic smell. Agree that sleeping in such an atmosphere would not be entirely pleasant. In the process of gluing on the walls you will not even notice the joints. 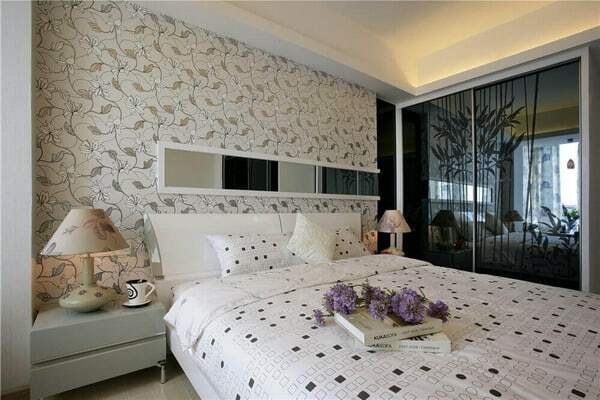 The use of textile wallpaper for the bedroom helps to hide small defects on the wall. This way you can mask the cracks, chips and irregularities on the surface. Environmental friendliness. As already mentioned above, only natural materials (silk, linen, etc.) are used for the manufacture of textile wallpaper. Thus, they can even be used for a children’s bedroom. Unlike paper analogs, wallpaper made of fabric does not accumulate damp. Good degree of heat and sound insulation. The main disadvantage of textile wallpaper is their high cost. Not everyone can afford this kind of wall decoration. In addition, to care for the fabric material is quite difficult. He does not tolerate wet cleaning and is able to attract dust to himself. To the high cost of this material is added also payment for the work of the master. The fact is that pokleit textile wallpaper alone is almost impossible. Single-layer paper wallpaper. In another they are also called simplex. Differ in low cost and not the best damage resistance. Two-layer paper wallpaper (duplex). Due to the layering of the paper, this material is more resistant to mechanical damage. But its price, respectively, will be higher than that of single-layer counterparts. 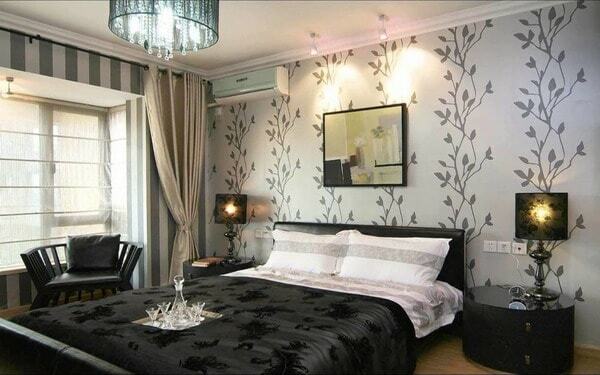 Paper wallpaper in the bedroom is chosen mainly because of their affordable price. However, one should not forget that this method of finishing has a big disadvantage – too little useful life. This material is not able to resist the sun, dirt and high humidity in the room (which, however, is not very important for the bedroom). Therefore, using paper wallpaper for the bedroom, be prepared that you will have to update the interior within 3-4 years after the repair. Such a decision is only relevant for people who rent an apartment, or for a children’s bedroom. Modern wallpaper ideas are so diverse that you can definitely find a suitable option for you. In addition to a huge number of shades, manufacturers also offer bold prints (world map, floristry, etc.) and textures (imitation of concrete, the effect of an aged wall). Forget about the classic versions of the wallpaper – in the fashion of bold and non-standard shades, allowing you to get a truly unique design. 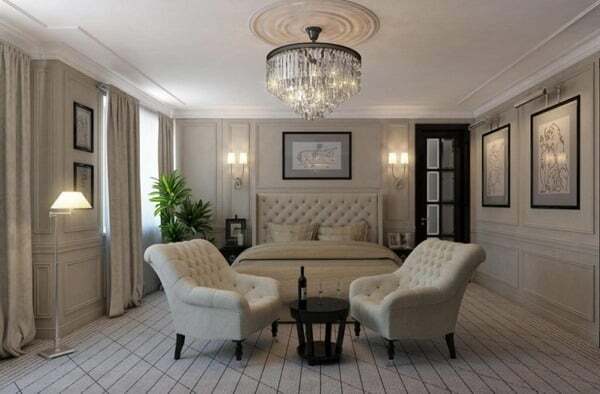 The use of gray wallpaper in the interior of the bedroom has become relevant recently. This is due to the polarization of the Scandinavian style in the interior. The main advantage of this color is its versatility. Gray color is combined with any other shades (blue, purple, yellow, burgundy, green, etc.). 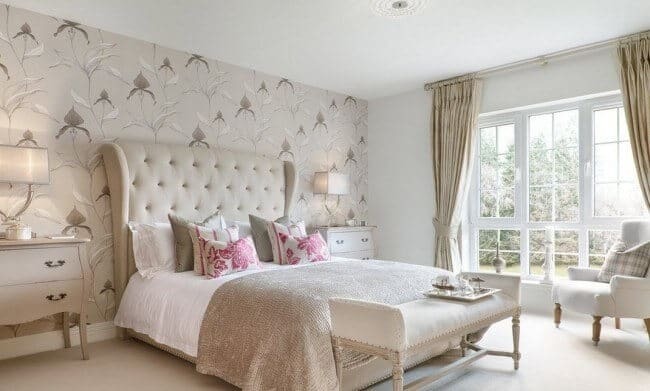 Therefore, choosing the wallpaper in the bedroom in gray tones, you can add originality to the room, using bright pieces of furniture or decorative elements. In the past few years, the tendency to use pastel pink has actively increased. The shade of a dusty rose looks luxurious and elegant with gold, shades of gray, coral and beige. In the bedroom, these colors will be most welcome – pale pink tones will help you relax and tune in to sleep. Blue color, perhaps, is a classic shade of wallpaper in the bedroom. It will help to relax and tune in to a deep sleep. A spacious bedroom with a deep blue tint of the walls will look as dark as possible, which in turn contributes to rapid sleep. 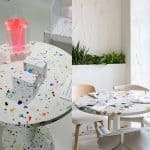 But the pastel light shades on the contrary – will facilitate an easy awakening. 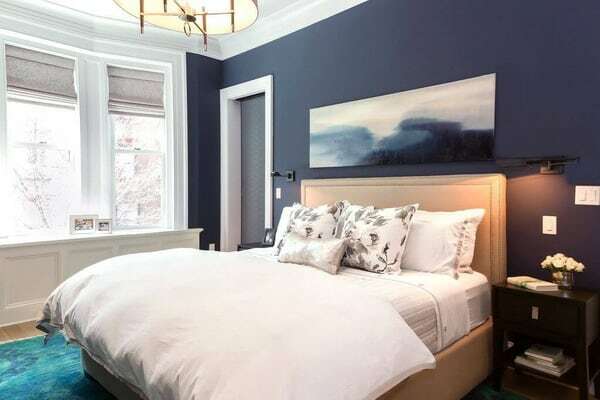 And, if the dark blue colors are better to use in the bedroom with a light bed, then the delicate blue wallpaper is for the bedroom with dark furniture. Another classic version of the shade of wallpaper, which will fit, perhaps, in any interior. Beige wallpaper in the bedroom is perfectly combined with many contrasting colors, but in themselves such tones look self-sufficient. In addition, do not forget that warm and light shades can visually enlarge the room, which will be an excellent solution for a small bedroom. 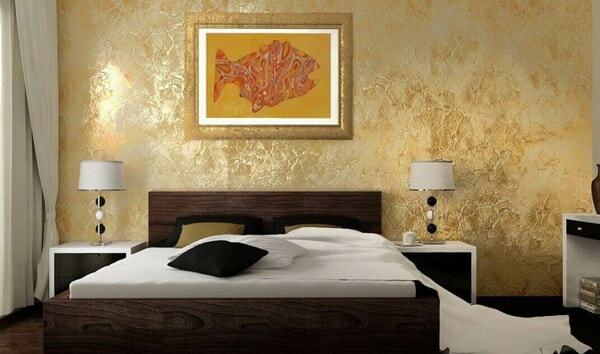 Gold wallpaper in the bedroom is only a classic, but also a luxury. Therefore, this shade is not suitable for every interior and not for every room. 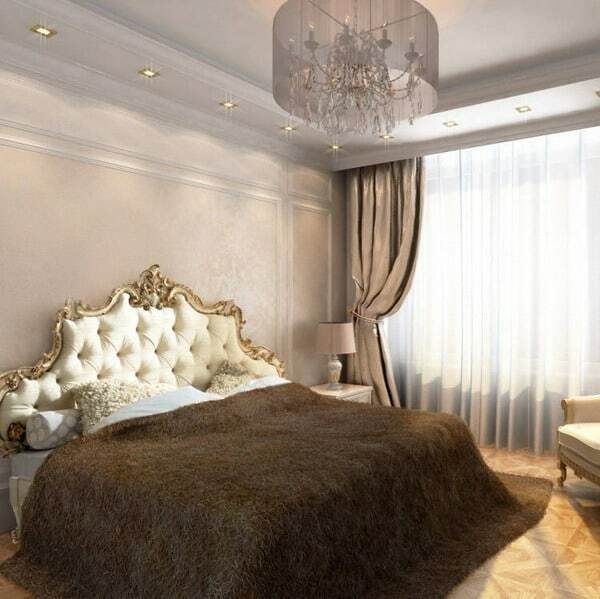 For example, in a small bedroom the golden wall decoration will not look quite harmonious. At the same time in a large room wallpaper made under gold can be a bright and elegant accent. The use of contrasts in the interior – a classic design reception. 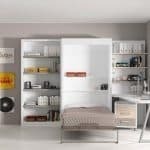 With it, you can add a room of originality, using only two or three colors. A classic example of contrast is the combination of black and white. 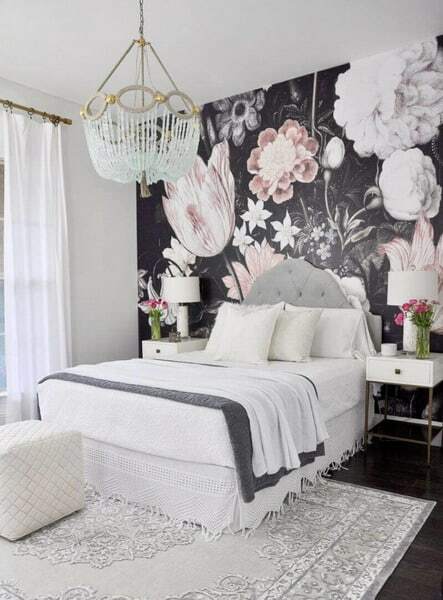 Use black wallpaper in the bedroom with light-colored furniture (most importantly, remember – black is definitely not suitable for small spaces) or white walls in a room with dark-colored furniture. imitation of other surfaces, etc. Combined wallpaper in the bedroom is appropriate, as in any other room. Designers even came up with a special term that sounds like an “accent wall”. 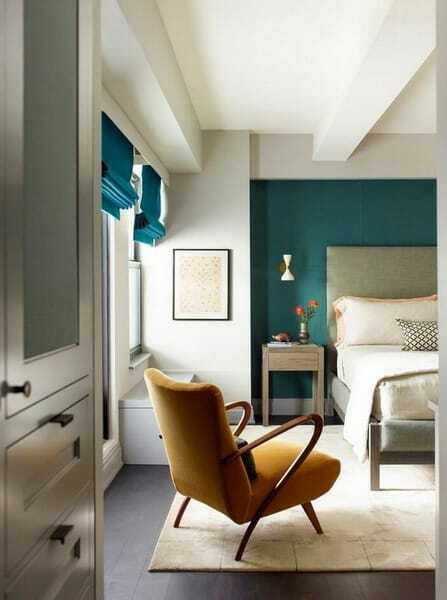 It means the use of bolder colors and prints in the area behind the head of the bed. 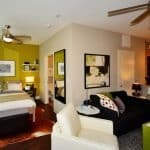 It is important to note that for a bedroom (unlike, for example, a living room) it is better not to choose a combination of two bright colors. One base color (white, gray, beige) and one accent are enough. The height of the ceiling in the room. 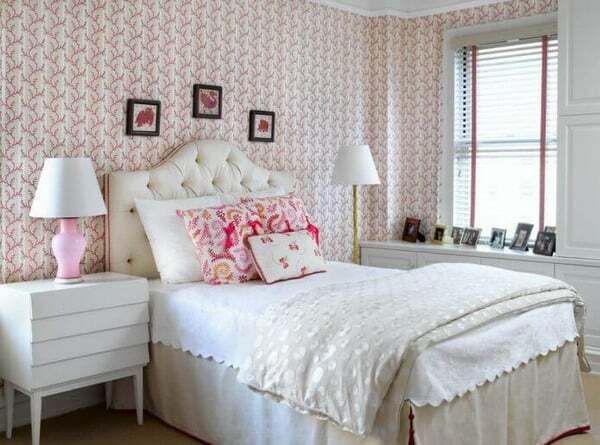 The type of combination, color and pattern of wallpaper in the bedroom will depend on it. The total area of the room. Allows you to choose the right shade. The texture and thickness of the wallpaper for the bedroom. It is important to use the same type of material with the same thickness. This will help avoid problems in the form of too visible seams at the joints of the wallpaper. Otherwise, the transition will be quite sharp and noticeable. It is important! Different types of wallpaper may require different glue. Be sure to consider this factor when choosing materials. Gluing two or more types of wallpaper with vertical stripes will help to visually increase the area of the room. That is why this principle is used when sticking wallpaper in the bedroom with low ceilings. Most often used in rooms with high ceilings. This principle of division, as a rule, runs along the line of the sill or at the eye level. Bedroom zoning. By this term is meant the above described accent wall. Inserts or decorative panels. In this case, the accent version of the wallpaper is inserted into the frame. 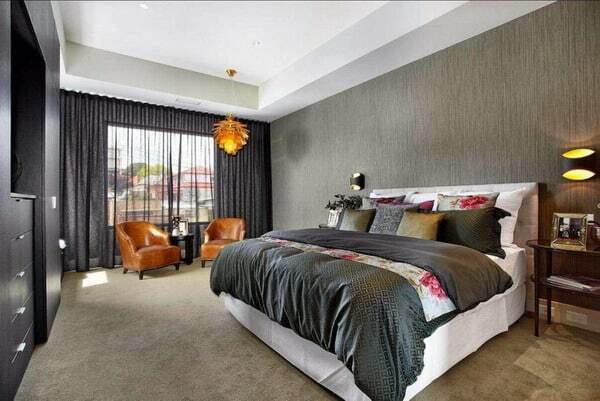 Choosing wallpaper for the bedroom, it is important first of all to focus on the overall interior of the room. It will depend on him colors, patterns and textures for walls. The contemporary style of the interior has managed to harmoniously combine elements of the classic and modern interior design. 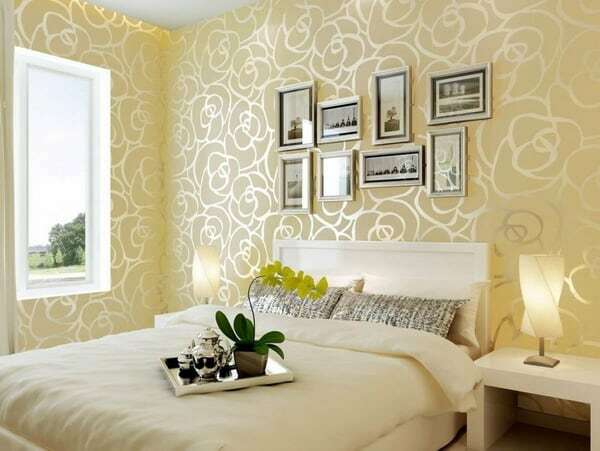 That is why you have the most that a huge selection of colors and patterns of wallpaper for the bedroom. The most common option is to use beige or light gray colors when decorating walls. However, in the absence of bright accents, brighter wallpapers can be used on one wall. The main thing is that their color is repeated even in at least one piece of furniture or a decorative element. Provence style is one of the most common ideas for bedroom decoration. This style decision came to us from France and bears in itself a certain rustic chic. The main feature of the wallpaper for the bedroom in the style of Provence is the use of pastel (pale pink, blue, beige, pale green) shades. As for the patterns, wallpaper with floristic prints will look especially relevant. The interior in a loft style is characterized by the lack of surface finish. Untouched walls bring this style closer to its origins, when in the United States, in the process of settling cities, many warehouses were used as living spaces. However, sometimes the walls just need a high-quality finish. That’s when the wallpaper comes to the rescue. Modern manufacturers produce models that mimic the surface of concrete or brick. Thus you can accurately recreate the interior of the loft. Consider that making all four walls in the bedroom like this is not a good idea. It is better to make one wall with imitation of brickwork, and paste the remaining three with more neutral shades. Vegetable prints that will give the room tenderness and lightness. She will emphasize elegance and a certain severity of the classical style. Wallpaper damask. A luxurious solution that will become an elegant, but at the same time unobtrusive accent in the bedroom interior. 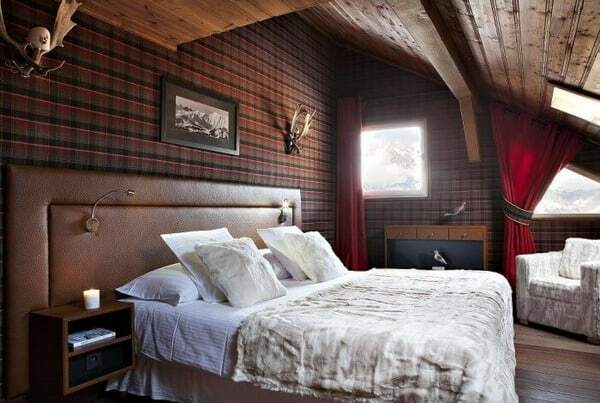 As for the wallpaper for the bedroom in the Scandinavian style, everything is pretty simple. This interior assumes some minimalism both in filling the rooms and in their decoration. Therefore, the most classic colors are white or gray wallpaper. However, plain wallpaper will do if there are already bright elements in the room. But for those who want to make the room more original, there is a wonderful way out – wallpaper with a print. 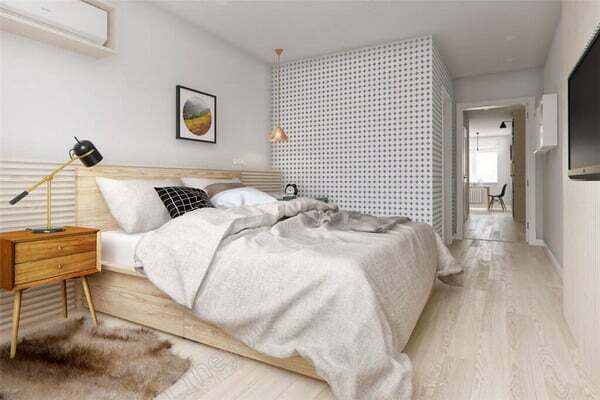 Scandinavian style does not like too elegant patterns, but welcomes laconic geometric wallpaper motifs. Like the loft, country style came to us from the USA. This is a classic version of rustic design, for which warm shades of bedroom wallpaper are most often used. Important! Despite the fact that the country style, like Provence, describes the rustic interior, the difference in the countries causes a huge difference between these areas. Pastel colors and floral patterns are not typical for country music. The most relevant pattern of wallpaper in the style of country is a small cell. However, the main thing here is not to overdo it, because in a small room such a print will look inappropriate. In addition, you should not choose a cell in combination with a bright shade. Then your eyes will not be able to fully relax, and you – to recover from a hard working day. In addition to the cell, the wallpaper for the bedroom in country style may have a different pattern, for example, a vertical strip. The main condition – the strip (like the cell) should not be a contrast. Plain wallpaper that creates a feeling of clean and open space. Massive prints that visually reduce the space and put pressure on the vision. Infrequent small prints that are arranged vertically. 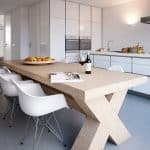 They are able to visually extend the wall, making the room more spacious. The abundance of small patterns across the wall.They begin to ruffle with time in the eyes, and the whole room looks crowded. Light shades in the wallpaper. 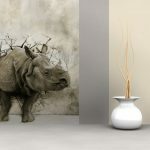 Everything is quite simple here – white or beige wallpaper makes the room more spacious visually. Dark shades of wallpaper for the bedroom. Visually narrow the area and make your stay in the room uncomfortable. Textured surfaces that convey a beautiful play of light and shadow. Narrow lines on the wallpaper (both straight and wavy). Deform the space that in the conditions of a small area can play a cruel joke. Brilliant wallpaper (here, of course, to your taste). 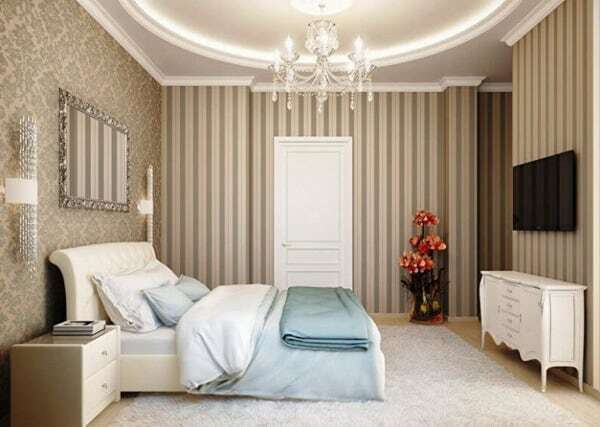 In combination with good lighting, this solution will help to visually increase the area of your bedroom. Diagonal pattern. 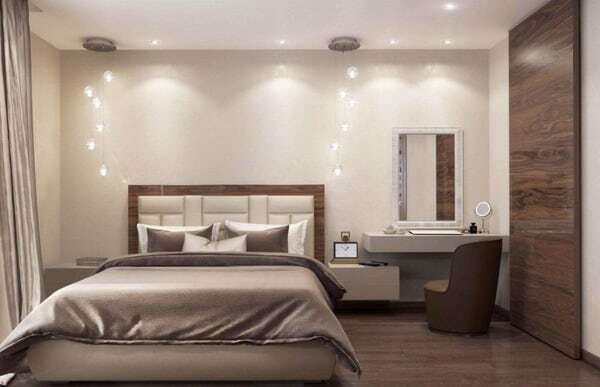 This technique, which allows to visually enlarge a small bedroom, is used by a large number of designers. Contrasting (you can not even match) colors. Distracts attention from the floor space. 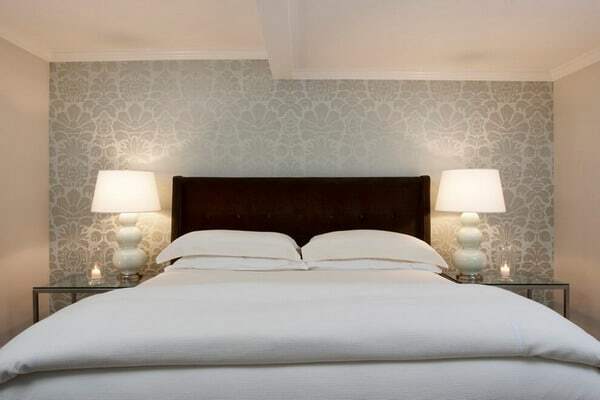 Tip : The hue of the wallpaper in the small bedroom is also selected depending on the lighting. For poorly lit rooms, warmer wall colors will do. 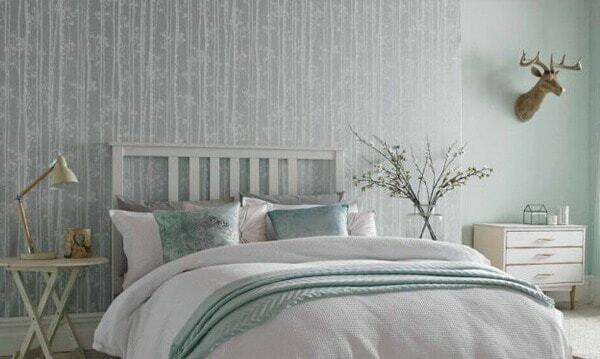 While in the bedroom with good natural and artificial lighting, you can use wallpaper in cold tones. It is important! 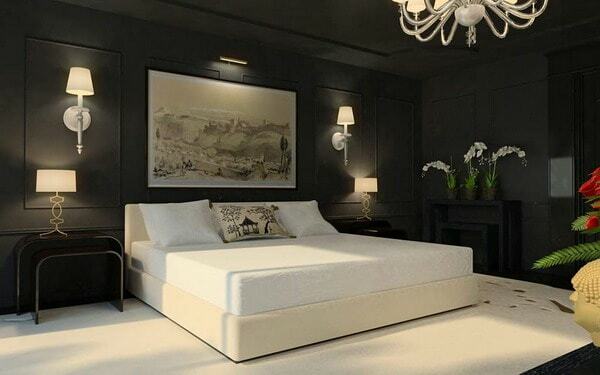 Do you know that using too dark wallpaper for a bedroom collects about 30% of the area of a room? Therefore, the use of such shades in small rooms is strictly prohibited. Peaceful sleep and good rest is the dream of any modern person. And properly decorated bedroom interior allows you to get closer to this goal. You can wake up in the morning with a large dose of energy that will fill and inspire you throughout the day. And the choice of wallpaper for the bedroom in this case plays a significant role. Warm, calm, soft colors and patterns on the walls allow our thoughts to relax, and the beautiful views and landscapes of photo wallpapers immerse themselves in the natural world. Do not be afraid to think wider and try new non-standard options for decorating the walls in the bedroom to get the interior of your dreams.